My philosophy? Eat Better. Move More. Believe in Yourself. Get your free copy of “25 Things You Can Do Today to Lose Weight” when you sign up for the FitWatch weekly newsletter. It’s a 9-page ebook with printable checklist! 5 Minutes to a Healthier Kitchen! Stop the madness…eating right should NOT be stressful. Don’t Want to Count Calories? Forget diets! The way to lose weight is to make changes you can live with for the rest of your life. FitWatch has lots of tips and tricks to help you eat better, move more and believe in yourself! Calculate the percentage of weight loss just like they do on NBC's The Biggest Loser. Plug in the amount of weight you want to lose and this calculator will give you 5 different daily calorie goals plus how long it'll take to reach your goal weight. There's more to weight loss than just a number on the scale. Body composition is important. Calculate your body fat % with this easy-to-use calculator. Calculate how many calories you should be eating in a day to lose weight. One way to ward off hunger, curb cravings and turn your body into a fat-burning machine is to frequently eat several small meals a day. 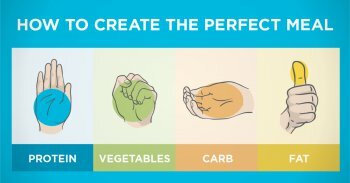 A 5 step “blueprint” to lose weight by counting calories, covering how many calories you should eat in a day to lose to carb/protein/fat ratios, and more. Whether you’re trying to lose weight or just wanting to maintain your sleek physique, boosting your metabolism to a higher rate is always a good idea. If TV is an addiction for you, you can easily remedy the situation by trying out these 10 ways to exercise while watching TV. It's a great way to learn how to count not just calories but my macronutrients. The same information that personal trainers will charge for. I thought I had an idea of how many calories were in items. Then I found the FitWatch site and it totally changed my perspective. I didn't cheat and was honest and sticking to the plan ... entering calories and exercise each day really kept me on track. I learnt that the snacks I eat contain a lot of calories my body didn't need. I also learnt that my portions were larger than I thought.